SasakiBonnet Springs Park’s nature center will feature information for those interested in learning more about the region’s plants and animals. The building will also offer paddle boat rentals. East of Tampa, Florida, a 180-acre site in Lakeland served as a rail yard from the late 1800s until the early 1950s. After the rail yard closed in 1952, the contaminated site underwent various attempts at redevelopment, but nothing lasted. The rail yard, which used to be Lakeland’s largest employer before the Great Depression, faded from prominence for years. 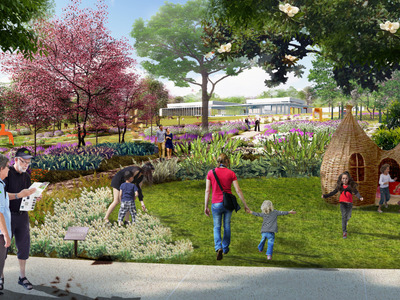 In 2015, though, a group of local residents came together and proposed turning the site into a giant park. The international design firm Sasaki took on the project shortly after, and it is expected to open in 2020. Take a look at the Bonnet Springs Park proposal. 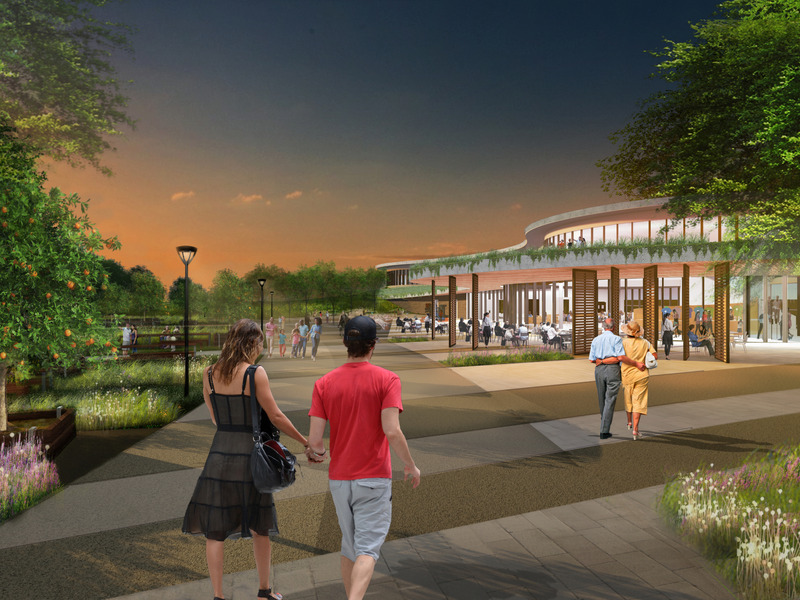 The proposal will create a public park near downtown Lakeland for the whole community to gather. SasakiThe welcome center will feature a restaurant and space for exhibitions. More than 80 acres contain traces of arsenic and petroleum hydrocarbons, according to Sasaki. As part of the project, the team will take land from the most contaminated sections and create hills on the property. 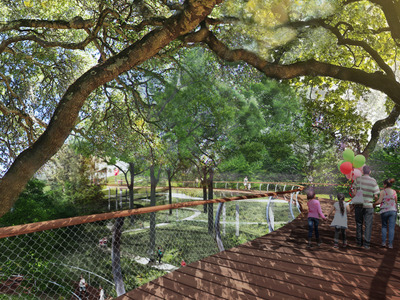 SasakiA 1300-foot-long walkway going through the park’s canopy will rise 18 feet above the ground. The developers will move storm water into a number of wetland ponds. They will also install new waste management systems to decontaminate the water. SasakiIn addition to creating wetland ponds, Sasaki’s team will work on removing invasive plants from the site. 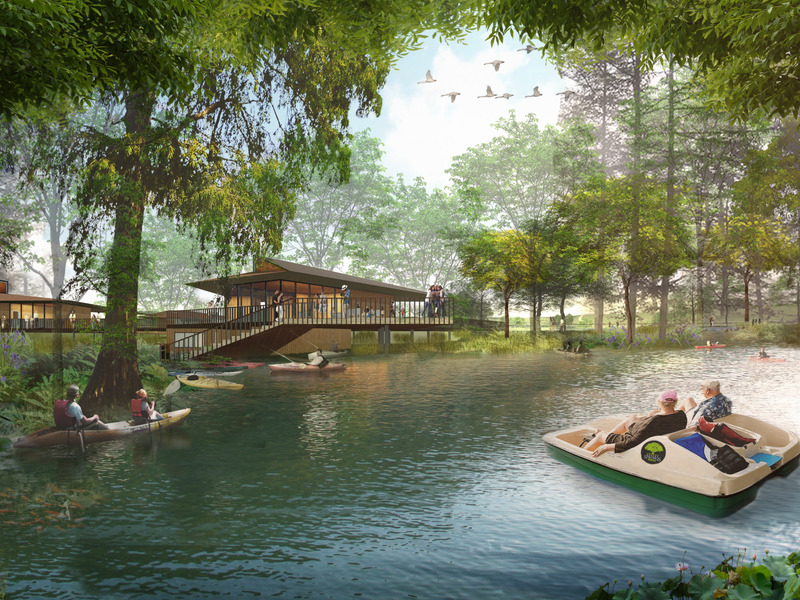 Sasaki will work on protecting mature oak trees and waterways in some parts of the new park, and the site will provide opportunities for visitors to learn about central Florida’s ecology. SasakiThe Bonnet Springs Event Pavilion, which overlooks the botanic garden, could host weddings and other large events. 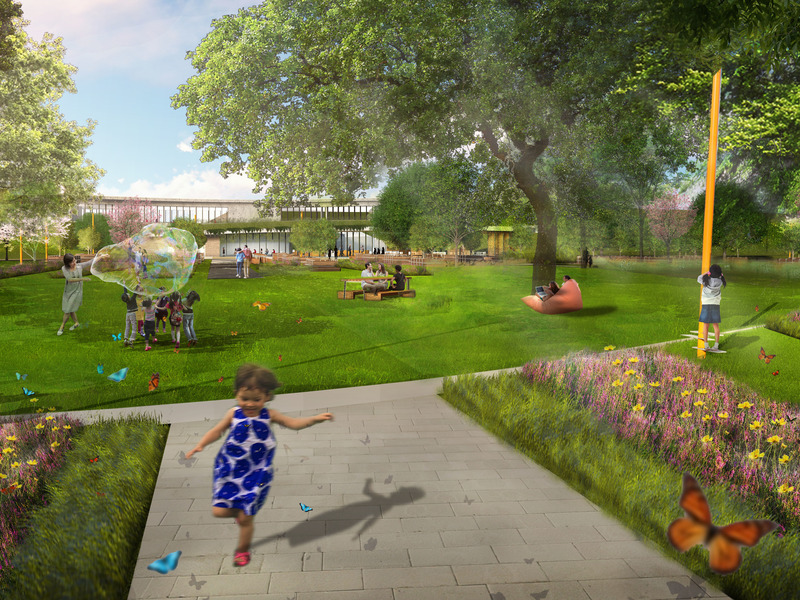 To help generate revenue for the park, the Explorations V Children’s Museum will charge a fee for admission. Concerts and other events will also be held in the park. SasakiThe botanical gardens will include contemporary art and sculptures. The children’s museum is currently located in downtown Lakeland but will relocate to the park as part of the redevelopment. According to Sasaki, new walking and bike paths will help increase access to the park. 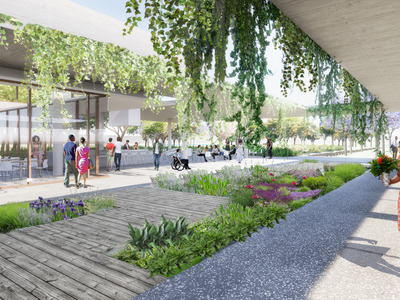 SasakiThe Heritage Garden, shown above, will include fruit trees. 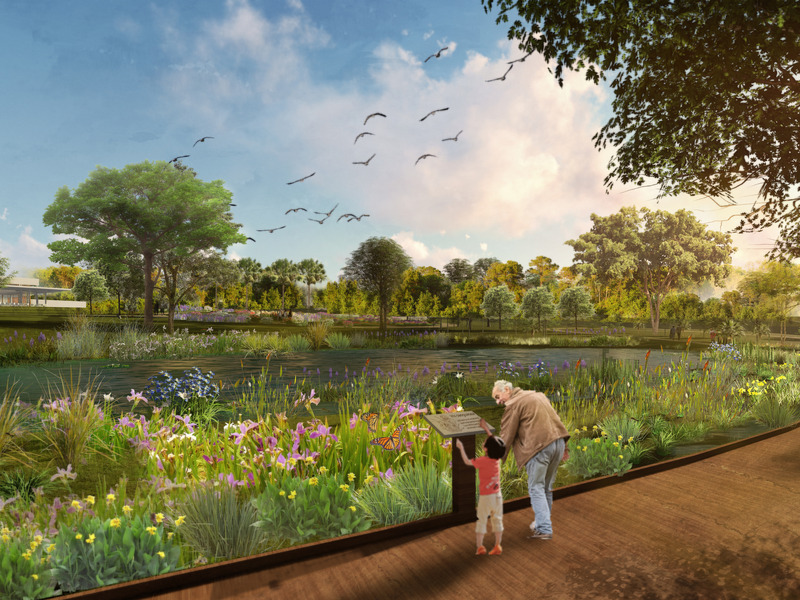 “Bonnet Springs Park, from a planning and design perspective, presents a rare opportunity to transform a significantly challenged urban plot of land in an effort to improve Central Florida’s quality of life for generations to come,” a recent blog post on Sasaki’s website said.